Anyone know what’s happened to Tour de France Festival Director Maria Bota? 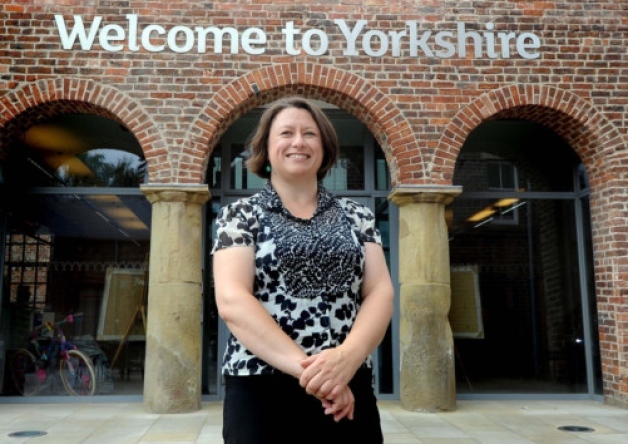 Appointed by the county’s official tourism agency Welcome to Yorkshire in June, she took up the 12-month, £55k contract at the beginning of August, but was nowhere to be seen when details of the cultural festival’s 100-day programme were announced at the end of January. It emerges from the LinkedIn profile of Ms Bota – who ran an international arts festival in Salisbury for five years before heading for Yorkshire – that she left the job before the New Year, since when she has been working as a consultant. Still, before she left she’ll have played her part in putting together some fun stuff for the 100 days (details here). This entry was posted in Uncategorized and tagged culture festival, maria bota, tdf, tour de france, welcome to yorkshire. Bookmark the permalink. It’s now generally known that Ms Bota stepped down from her job as she was unhappy with the way welcome to Yorks was running things. The scandal is that they’ve wasted a million quid on this mess.